Today you’ll find out who are the richest people in China. There is no doubt about the economic outlook for China. Mainland China boasts a record of 152 members of the 2014 Forbes Billionaires Lists. That is an increase from 122 last year. And these 10 billionaires are mainly in industries like the Internet and new energy. Without no further talking, let’s get straight to business and see who are the entrepreneurs who rule China. We begin our top list with Chan Laiwa, the founder and Chairman of Fuwah International Group, which is one of Beijing’s largest commercial property developers. 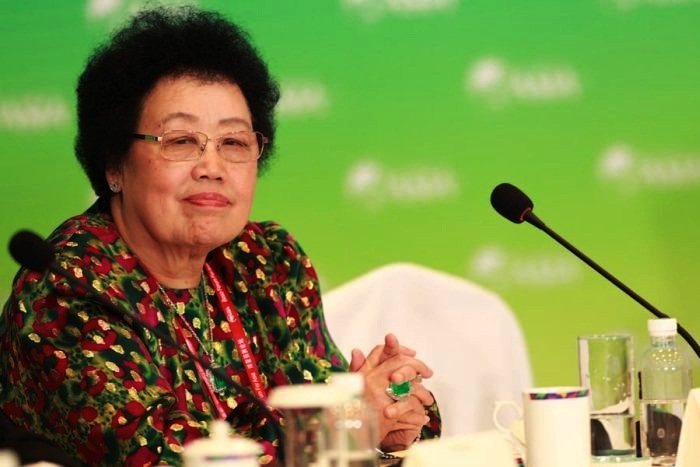 With an estimated net worth of $6 billion, the 73-year-old businesswoman is one of the richest women in China, as well as one of the world’s self-made female billionaire. Chan Laiwa invests in luxury hotels, office buildings, apartments and clubhouses. Among her properties are included Regent Beijing, the Hong Kong Jockey Club Beijing Clubhouse, Park Plaza Beijing Wangfujing, Jinbao Tower, Legendale Hotel Beijing and Chang’An Club.